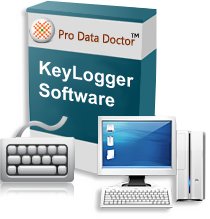 Keystroke logging utility record typed keystrokes including send emails, text document list, chat conversations and other keyboard typing activities in encrypted log file. Key logger runs invisibly in the background and is not detected in Startup menu, Add/Remove program list, Desktop (shortcut icons), and even hides software installation files and folders. 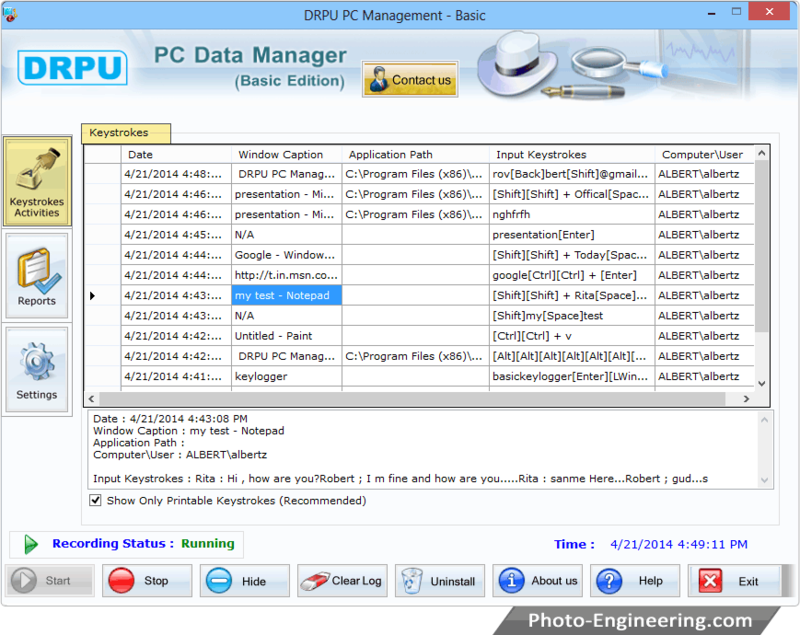 PC monitoring utility provides opportunity to protect keylogger with password, so that you can easily prevent external users to change or modify the software configuration settings. Easily records all typed keystrokes on your computer system in your absence. Records every typed keystroke including text document list, send emails, chat conversations, login id, password and everything that is typed on your Desktop and Laptop PC keyboard. All the information is stored encrypted log file and sends to user predefined email address. System Administrators: Help you to find out; what exactly typed in the system. CEOs: Perform the full control by knowing about all actions performed by the employees or other people on the computers in your absence. Parents: Find out what programs your children run and what they search in the net in your absence to check them. Any User: Find out, what was going on your computer during your absence: what text was typed etc. Using the program constantly, you will able to restore the previously typed text in case you have lost it and can also restore the forgotten password or the lost email. Computer Classes and Cyber Cafe: Lets you find out how your PC is used if you own a cyber café or takes computer classes.